‘Israel is confronting threats from armed groups, most of whom are aided by Iran,’ military intelligence chief warns. 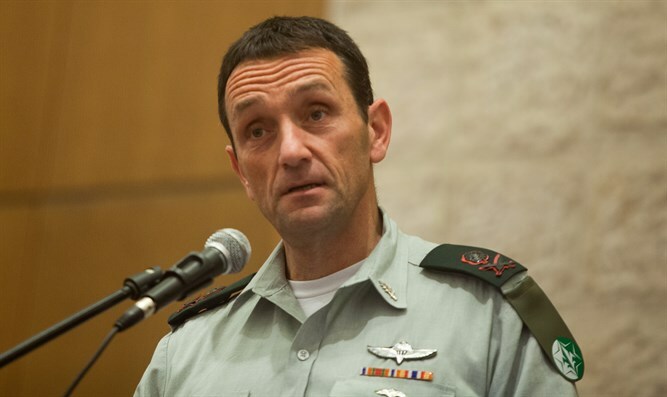 The head of Israel’s Military Intelligence Directorate, Major General Hertzi Halevi, warned Thursday evening that the Iranian regime is flooding the Middle East with weapons, and is arming most of the organizations dedicated to the destruction of the Jewish state. Speaking at a memorial service for Israel’s Sixth President, Chaim Herzog held at the Rabin Center in Tel Aviv, Halevi discussed the major threats now facing Israel. While the regime in Tehran is making every effort to defeat Israel, said Halevi, Israeli security and intelligence forces retain the upper hand.